The ability to track a user’s motions, especially head and eye movements, and adjusts the images on display of the user to reflect the change in perspective correspondingly. A realistic 3D image or artificial environment that is created with a combination of interactive hardware and software, and presented to the user in such a way that the user can accept it as a real environment without any doubt. She/he can get interacted with it in a seemingly real or physical way. 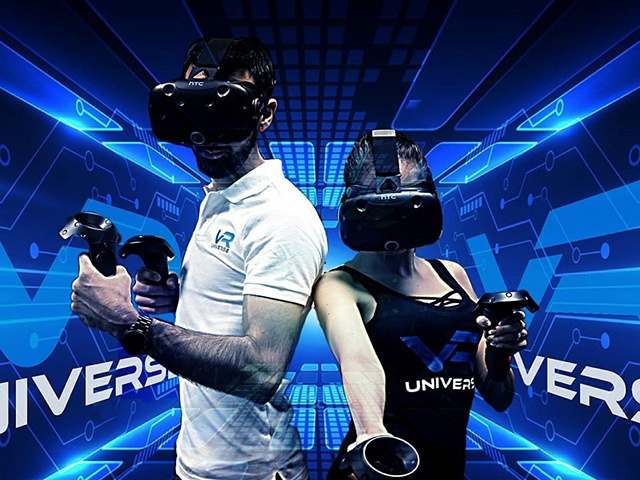 In a virtual reality environment, a user experiences immersion or the feeling of being inside that world and feel her/him as a part of that world. She/he has the capacity to interact with his environment in meaningful ways. The combination of a sense of immersion and interactivity is called telepresence. 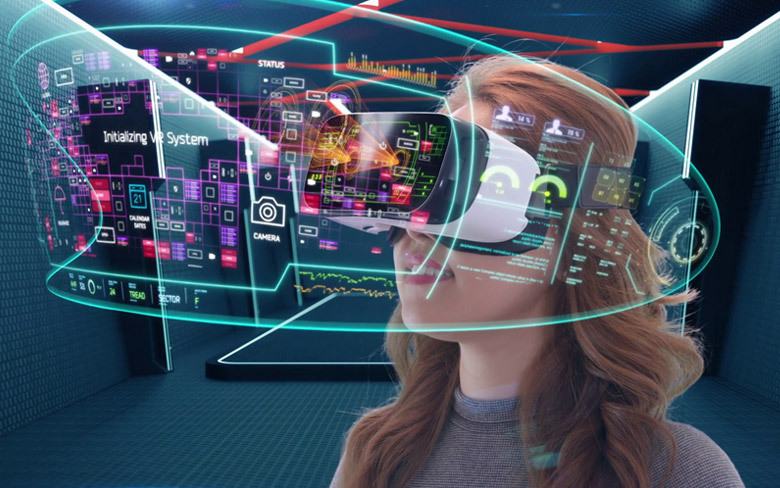 Dr. Frederick Brooks, a pioneer in VR technology and theory, says that displays must project a frame rate of at least 20 – 30 frames per second in order to create a convincing user experience. Let us take an example of a well known game Counter Strike. This game is a great explanation to how virtual reality actually works. The software for the specific game is the major element. The software setup of the game runs with the help of the computer system and the interfaced input output devices. Every Character and environment within the game behaves closely to reality according to the code written for them. The programming code facilitates characters and environment to interact with the other characters that are controlled by input devices. The code is interpreted by the processor and processor handles the input and output devices accordingly. It is one of the simplest examples to elaborate how VR work. If we talk about the working of more immersive virtual reality environment, it is also very much similar to working of this game. Additionally, advanced input and output devices, high performance processor are added to increase the immersion in this case. The high performance processor executes the processes quickly according to the input given by the user and returns the output to the user in such a way that the user feels itself a part of that world. The 3D visualization component enables the user to view 3-dimentional scenarios by using a display methodology like a head mounted device. Typically, 3D images superimpose the real environment by using anyone type of the display either screen based or projection based. In screen based virtual environment, high quality display screen is generally used. High quality in terms of resolution and color, or a head mounted device along with the sound system as output devices. A keyboard, microphone, head tracking sensors, finger trackers, gesture recognition system, a joystick or similar gears are used as input devices. When user moves the gear or joystick, make move of the head, or press any key on the keyboard, the objects of the screen changes accordingly in a manner that user feels like he/she is directly controlling the objects and environments on the screen. A high speed powerful processor processes the inputs. An Application Programming Interface (API) provides the interface to the input devices connected to the system as well as to standard devices like mouse and keyboard. The timings and relationship between input and output devices are so perfect that user feels an immersion with the virtual environment. In projection based virtual environment, the display images are projected on the multi screen spaces ranging from two to six screens. Projection based virtual environment is more immersive than the screen based method. Multiple screen display makes a better virtual environment. Both floor and ceiling uses a rear projection while the other four screens yield large surrounding views for both panning actions and looking down. Consequently, objects inside the space could be walked around and virtual entreat to be touched. Here, sensors and algorithms are used by computers to determine the position and orientation of a camera. This technology renders 3D graphics as they would appear from the viewpoint of the camera, superimposing the computer-generated images over a user’s view of the real world. Here, similar sensors and math are used by the computer. In virtual reality we don’t locate real camera within the physical environment. The position of user’s eyes is located within the virtual environment instead. Whenever the user’s head turns, the graphics react accordingly. VR technology creates a convincing, interactive world for the user instead of composing virtual objects and a real scene. Virtual reality is an emerging technology. We can assume it as an upcoming technology that makes users feel in a Virtual Environment with the use of computer hardware and software. These are original digitally created space where human being can enter with the help of some special computer equipments. It enables people to deal with information more easily. Virtual Reality provides a different way to see and experience information, one that is dynamic and immediate. It is mostly applicable in the fields like medical, education and gaming. Medical Science: Virtual Reality Exposure Therapy (VRET) which treats the patients suffering from some specific anxiety or phobias. Education: to train people working in widely diverse settings or professions, from fighter pilots to librarians. Example, MaxwellWorld, a stimulation tool, designed to help students understand the concepts of electrostatic fields. Gaming: 3D games use a high definition helmet mounted with LCD or LED screen and 3D stereo headset. Some companies like Sony are now involved in developing games augmented with the VR technology. Virtual reality environment is presented to us in such a way that we assume ourselves really there. A host of technologies are used to achieve this goal. It is a technically complex because it has to deal with our perception and cognition to make our mind and body feels to be there in. It can be used for the purpose of entertainment and serious matters both. This technology is becoming cheaper and more widespread according to time spans. We can expect to see many more innovation as applications of this technology in the future. So far it seems to be an amazing technology that brings a ton of entertainment in the field of gaming especially. It has also proved beneficial in the fields of education and medical science. If used and innovate in a positive way, this technology seems to be a great invention for our future. Was this article helpful? Don’t forget to share your views in the comment section below. To stay updated with all our latest posts, keep visiting our Tech Blogs.